The cryptic new Game of Thrones trailer supports the theory that youngest living Stark heir Bran is The Night King, some fans say. HBO’s new 90-second teaser trailer features Jon Snow, Sansa Stark, and Arya Stark walking in the crypts of Winterfell—the massive, ancient underground burial place for generations of Starks—when they come face-to-face with statues of themselves. Notably omitted from the Stark lineup is Bran. Or is he? As the Stark kids peer at the statue versions of themselves, the torch nearby extinguishes. We see the feather—originally placed in the hand of Lyanna Stark by Robert Baratheon in the pilot episode—frost over. Winter has come. The fan theory posits that Bran Stark isn’t actually missing from the sibling gathering—he arrives as the frost. Because Brandon Stark is the Night King. Bran, a time-traveler and a warg, goes back in time (not physically) over and over in order to stop the White Walkers from destroying all of mankind. He fails several times, but with each failure he learns how to go back farther (that’s how time-traveling works in the GoT universe, remember?) until he reaches the moment the first White Walker was created. 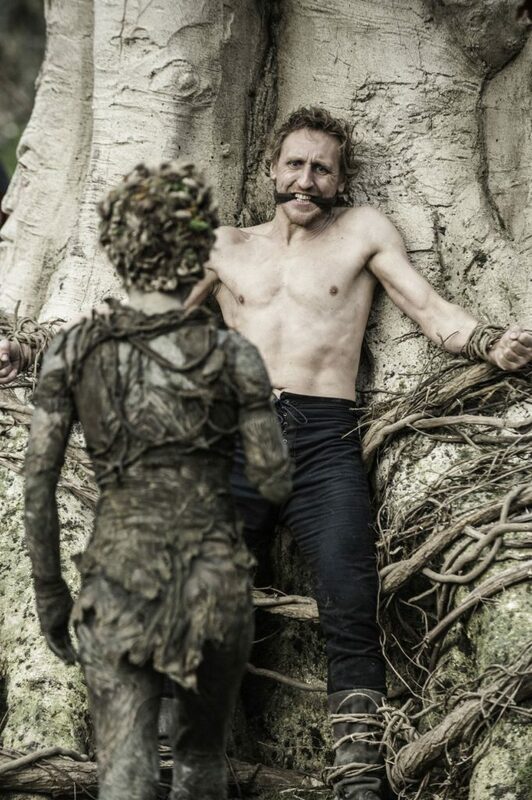 The Stark heir attempts to rewrite history by making peace with the Children of the Forest (who, if you recall, were at war with the First Men, who nearly killed them all and ran them from their sacred Weirwood trees). What actually happened, as we see in a Bran flashback, is that the Children of the Forest capture one of the First Men and stab him in the chest with dragonglass, thus creating the first White Walker—The Night King. During Bran’s flashback, Bran’s actual physical self is wincing and clenching his fist, mirroring the movements of that First-Man-Turned-Night-King; almost as though he is experiencing that pain himself. So, Bran wargs himself into that First Man in an attempt to make peace with the Children of the Forest, but his plan ultimately fails because “the ink is dry” and the past cannot be rewritten. Upon Bran’s final time-travel, he becomes The Night King. From then on, Bran is stuck in the past as the Night King, while Future Bran keeps attempting to warn those around him about the Long Night. The theory suggests that the show will end with Jon Snow (or his son??? With Daenerys Targaryen???) being forced to kill his little brother. THEY EVEN DRESS THE SAME. The Night King wears an emblem that looks like a raven’s skull. When Bran has a vision of the creation of the Night King, he writhes in pain at the point when Leaf plunges the dragonglass dagger into the First Man’s heart. The Night King’s ability to physically touch and mark Bran from within a vision implies that the Night King could actually be Bran. If this theory is confusing to you, don’t worry. There are quite literally hundreds more out there that make equally as much and as little sense simultaneously. All we can do is wait until April 14th, which right now feels like centuries away, while we listlessly wonder: Where are Robb and Rickon’s statues?